Bark To School Adoption Special! 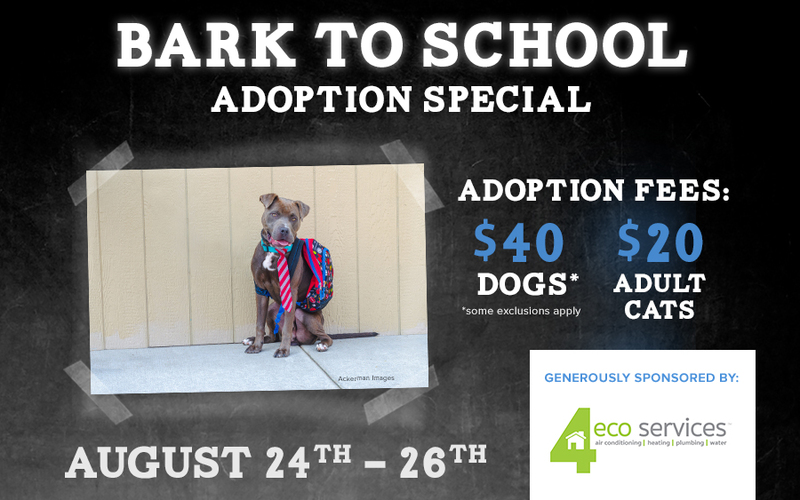 Announcing our Bark to School Adoption Special, presented by 4 Eco Services, this weekend from Friday, August 24th through Sunday the 26th at KC Pet Project’s three adoption centers! We’ll be offering dog adoptions for $40 (some exclusions apply) and adult cat adoptions for $20 during this great special. To see all of our adoptables, click here or download our free mobile app. Please share to help us make space this weekend for our new arrivals!